At the November meeting last year, honorary membership was bestowed upon Mr. R.J. Gilbert for his valued services to the society. A belated obituary to Mr. J. MacDonald (Jackie) who dies earlier this year. Jackie had been an active member of the society for a few years and helped quite a lot with our ventures. He will be sadly missed by us all. Despite a poor attendance last session's members night was a great success. Well done to all members involved! The next members night will be on February 14th 1986, the idea being that members should take along anything of general interest to the society to show the membership. 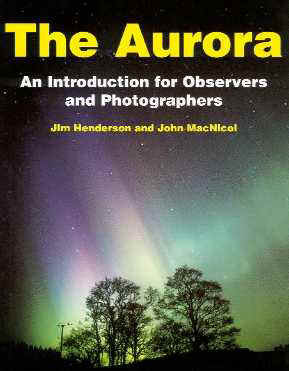 A visit has been arranged to the St Andrews observatories by the society on Saturday 15th March 1986. The observatories boast an impressive array of instrument including the largest optical telescope in the U.K. (a 38 inch reflector). A short visit to the Mills Observatory, Dundee has also been proposed during the trip back; details of this are still in preparation. A bus will be organised for this venture for members wishing to attend. It all began in 1969 when Mr. W.D. Cooper then a teacher at Robert Gordon's College, and a few friends got together to form The Aberdeen and District Astronomical Society. The first meeting was held at McRobert Hall. This meeting attracted an audience of approx' 200 people, of which a large percentage became members of the Society. A Committee was elected and was made up a Chairman, Secretary and Treasurer, and 2 or 3 Committee members. The biggest problem facing the Society at this time was that there was no permanent place to hold regular meetings and no space to house a telescope. The Governors of Robert Gordon's College was very helpful and offered the Society the use of the roof at the Robert Gordon's Institute and also as small shed to house telescopes. One of the first telescopes to be set up was the 8.1/2 inch Newtonian reflector which was kept in the shed permanently set up for use by Society members. After a while , some more telescopes arrived at the scene. The first was a 4 inch refracting telescope made by Dr. Jason who was a member at the time, also a 2 inch refractor (owner unknown). The society was equipped and ready to go, meanwhile other activities were beginning to flourish, it was decided to start a telescope making group, after all, astronomers need telescopes and since buying a ready made telescope was expensive, what better way of acquiring a telescope at a reasonable price but to make one yourself. Provisions were made for the construction group to use one of the Physics labs, where; I have been told, "Every Thursday night Cauldrons of boiling pitch boiled furiously and the sound of grating glass was ever present". For some reason the construction group didn't lat and was quickly abandoned, probably because mirror making is such an arduous task and dedication is needed to see the job through. As far as I am aware, on 2 or 3 mirrors were actually finished. Somewhere in Robert Gordon's Institute, probably in a basement, the evidence of a bygone era remains. Records show there there a number of observing groups set up, namely Lunar, Planets, Aurora and Meteors, there was also an Astronautics and History Group. To date I have no record of their activities except in the Committee record book which reports that they were doing well at that time. Again from my records I know of a meeting held at Mills Observatory Dundee where Patrick Moore was present (not to be confused with our recent visit), also a visit to the University's Radio Telescope at Hillbrae, which sadly is no longer in use but still remains. During 1970-1 negotiations were going ahead to try and get a permanent observatory built. It was finally decided to build an observatory on the Roof of Robert Gordon's Institute (opposite end from the she) and on it's completion a new telescope would be installed under the dome. In 1972, the society temporarily disbanded to allow work to be carried out on the new observatory. It was decided to "shut up shop" so to speak, because; we no longer had an observing site an alternative was not available. We were informed however, that the observatory would be ready and functioning within a year. As far as I am aware, I believe there were a number of snags encountered during the construction of the observatory and it did take longer than one year as promised. Approx' 2 years later the society was allowed back to Robert Gordon's Institute and into the observatory which was now complete. During this time the Society had lost about half its total membership. I don not believe that this was a contributing factor, on the contrary, I believe it would have happened anyway. Going back to 1969 the Americans had landed the first man on the moon, the public became very interested and this probably caused the large membership initially, but the public soon became bored as manned flights to the moon became an almost every day event. Today things are a lot different, the observatory is the hub of the Astronomical Society. The dome now houses an 8 inch Schmidt Cassegrain telescope, a very fine instrument. We still have the original telescopes that we started off with and a few more additions to the "family". We are no longer limited to observing sessions once per month when nine times out of ten it was either raining or overcast. We have regular observing sessions once per week and arrangements are being made for sessions outside the City (field trips) along with other activities listed in the Syllabus. I hope you have enjoyed reading the history of the society, sorry its so short but 1969 to 1985 is really a sport space of time and I feel that most of the important events and facts have been mentioned here. Societies all over the nation will be opening their doors to the public, with exhibitions, lectures and observing sessions with a possible chance to see the great comet with guidance from members of well established amateur societies. We owe this sudden surge of activity to the endeavors of one man "Edmond Halley". The above text is copied from a 19 page stapled journal newsletter (Journal of A.D.A.S. Issue 1) produced in 1985.